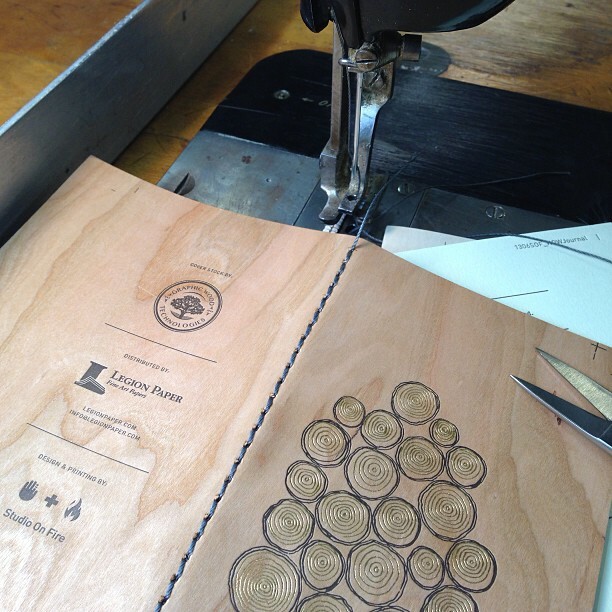 Letterpress, foil, saddle sewn wood veneer pocket journal designed and created by Studio on Fire. The cover is our newest paper, a 24pt wood veneer with a kraft backing. It scores, folds and prints very, very well. It's made from real wood, not a printed nor embossed pattern. The pages inside are Colorplan. Visit us at the HOW conference to pick one up.